Buy first hour, get second hour free. The City manages 28 car parks, most of which are conveniently located within the city centre and in close proximity of public transport. 30 minute free parking in High Street (West End). 30 minute free parking in Adelaide Street (between Parry and Queen Street). 1 hour free parking surrounding Kings Square on William Street, Queen Street (between Adelaide and High Street), Paddy Troy mall and High Street (East End). Cappuccino Strip car park 61 - 155 bays (7 days 8am-4pm with a ticket displayed). Parry Street car park 01 - 172 bays (7 days 8am-4pm with a ticket displayed). Point Street outdoor car park 6A - 50 bays (7 days 8am-1am with a ticket displayed). Over 1 000 on-street car parking bays outside banks, post office and stores in the city centre. Use PayStay to only pay for the time you actually use. Cheaper long term parking options are located on the fringes of the city centre (Beach Street, Point Street, Ellen Street and Parry Street car parks). Use PayStay to manage your parking without the worry of the meter running out. The City has numerous ACROD bays to allow for easy and convenient access to ACROD permit holders. If a bay is unavailable, a permit holder is eligible to park in a regular bay, and remain for double time shown on the sign. Official disabled parking permits issued worldwide are accepted in Fremantle. For more information visit the accessibility and inclusion page. What entitlements does an ACROD permit provide? 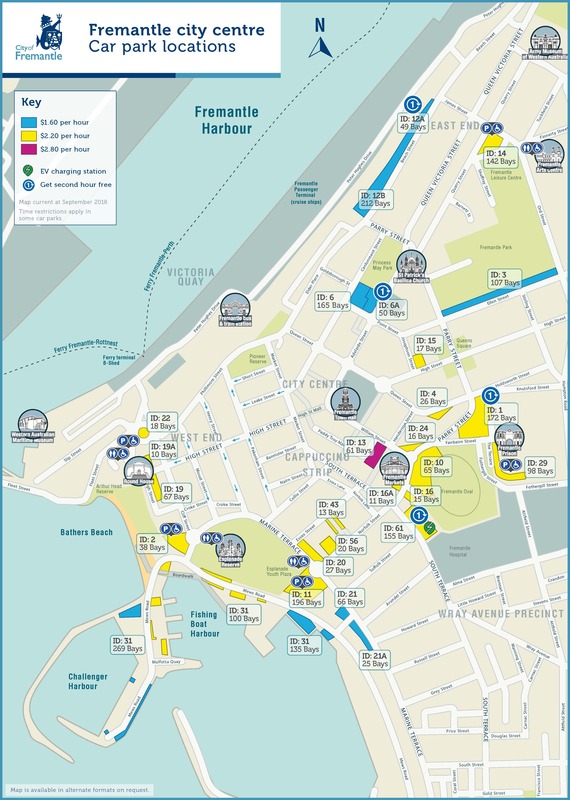 An ACROD parking permit allows free parking in all City of Fremantle car parks and street parking with double the signposted time limit (except where a time limit is shown on dedicated ACROD bays). 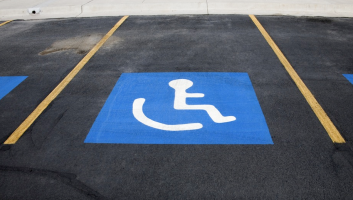 A similar benefit is also available for Totally and Permanently Incapacitated (TPI) ex-serviceperson permit holders, though that permit is not valid for use in an ACROD parking bay. Our universal access map has details of ramps and pathways. For visitors, official disabled parking permits issued worldwide are accepted in Fremantle. For more information please contact NDIS (National Disability Insurance Scheme) on 1800 800 110. 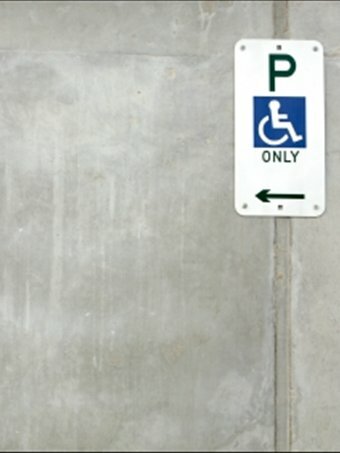 Under Local Government (Parking for People with Disabilities) Regulations 2014, a vehicle parked in an ACROD bay, without display of a valid permit, can be infringed $300. Motorbike bays are located around the city and are free of charge. They may have time restrictions - refer to the displayed signs. Motorbikes are permitted to park in car bays, however applicable parking fees must be paid and stated time limits apply. When purchasing a ticket to park your motorbike in a car bay, we recommend you retain the tear-off section of the ticket so that proof of purchase can be provided should an infringement be issued due to the ticket having blown away or been removed. See the motorcycle parking map for the location of motorbike bays. Four electric car chargers and parking bays are available for exclusive electric vehicle use at the Cappuccino Strip car park. See the tour coach parking map for location of tour coach parking. School drop off and pick up times can be quite stressful for parents and students alike. 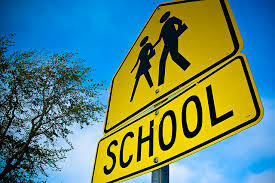 Most of the City's schools are located in high density areas, and parking may not always be available for all parents. Your cooperation is much appreciated when parking near schools. The City's Integrated Patrols Officers frequently patrol schools and enforce the Parking Local Law to assist with safe flow of traffic. To report any illegal parking around schools, or request patrols, contact the customer service team on 9432 9999 or info@fremantle.wa.gov.au. All parking restrictive and permissive signs in Fremantle comply with Australian Standards. With some minor differences amongst councils, most parking signs look very similar. Should you have questions about an area, car park, or street in terms of parking restrictions, please contact the customer service centre on 9432 9999 and they will assist you. No stopping sign means vehicles are not permitted to stop where the signs apply. Signs cover areas that fall between arrows. If there are further comments on the signs such as “verge”, “road”, “road or verge” or certain periods/times such as netball season, weekends, school hours, restrictions apply under those conditions. No parking sign means vehicles cannot park where the signs apply. You may remain stopped in your vehicle for a short period of time in No Parking areas. However, you may receive a move on notice from an authorised person, and you shall do so. It is advised that you do not stop in No Parking areas and move further to an available space. Ticket parking / fee payable – means that a ticket needs to be purchased to park legally. 1/2P, 1P, 2P etc – means that vehicles can park only for the duration of time on the sign post. Please be aware that if the sign states ticket parking, you must obtain a ticket. Yellow lines mean no stopping along where it is marked yellow lines. They are often found at intersections and by right of ways. 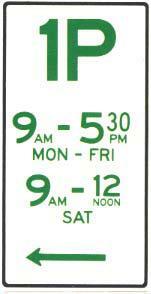 Parking signs may have multiple conditions and restrictions on them. Drivers should follow the signs carefully, assess where the restrictions apply via arrows on the posts and obtain a ticket or abide by time restrictions when necessary. Failure to do so may result in an infringement being issued, or in extreme circumstances, impound of vehicles.